Artificial Intelligence company Expert System has been recognized in the “KM 100” by leading information provider KMWorld every year since 2015. Expert System has been named as one of KMWorld’s 100 Companies That Matter in Knowledge Management 2019. Compiled over the course of the year via input from editors, analysts, experts and, most importantly, users, this distinction is bestowed on companies that capture KMWorld’s attention based on functionality, demonstrated success with clients, creativity and innovation. Artificial Intelligence (AI) helps automate the harvesting and use of knowledge by enterprise systems. It is improving information discovery and enabling intelligent process automation by extending the reach of RPA (Robotic Process Automation) into mission-critical, knowledge-based workflows. 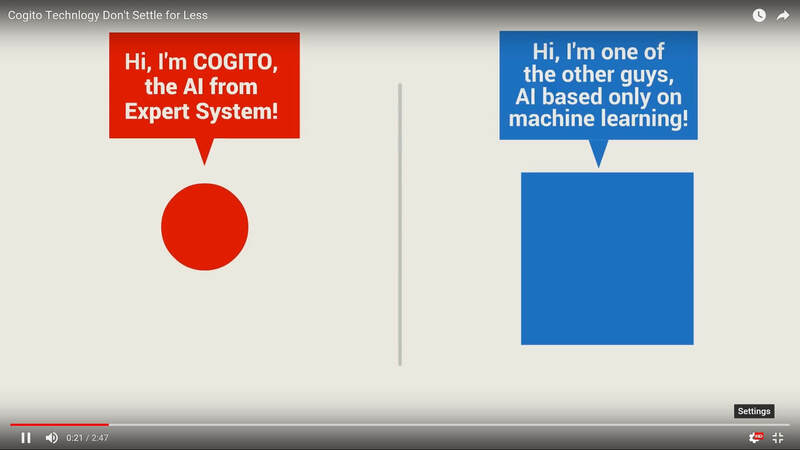 A case in point, Expert System’s Cogito® Platform provides a natural language processing pipeline that accelerates enterprise processes by automatically reading and extracting information from the unstructured documents they rely on, such as customer correspondence, contracts, claims, medical reports, and other documents. Cogito® empowers enterprise systems to intelligently classify and route cases to the most relevant operator, flag anomalies and higher-risk cases, as well as take straight-through processing decisions for mainstream cases. KMWorld is the leading information provider serving the Knowledge Management systems market and covers the latest in Content, Document and Knowledge Management, informing more than 21,000 subscribers about the components and processes – and subsequent success stories – that together offer solutions for improving business performance. KMWorld is a publishing unit of Information Today, Inc.